Travel guidance and tourism information about the destination you want to visit. 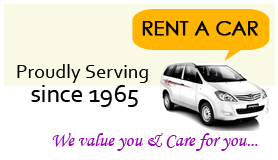 Hire a vehicle: Inform us about the number of the seats and we shall provide you the best vehicle available. Mangaluru extravaganza/ Nama Kudla tour: Sightseeing in and around Mangaluru can be arranged on your request.